An Army warrant officer who died in a helicopter crash while he was serving in Afghanistan was identified, the Defense Department said in a statement Sunday, Oct. 29. Chief Warrant Officer Jacob M. Sims, 36, of Juneau, Alaska died from wounds he sustained in the crash on Friday, Oct. 27, in Logar Province, Afghanistan. The incident is still under investigation. According to ABC News, Sims was a decorated veteran who had been through numerous military tours in Iraq, Afghanistan, and previously Kosovo. He was born in Oklahoma and was currently living in Alaska. In the helicopter incident, six other crew members were injured and are currently receiving medical treatment, according to a statement on Saturday by Operation Resolute Support in Afghanistan. The crash was not a result of enemy action and further details were not revealed as of writing. 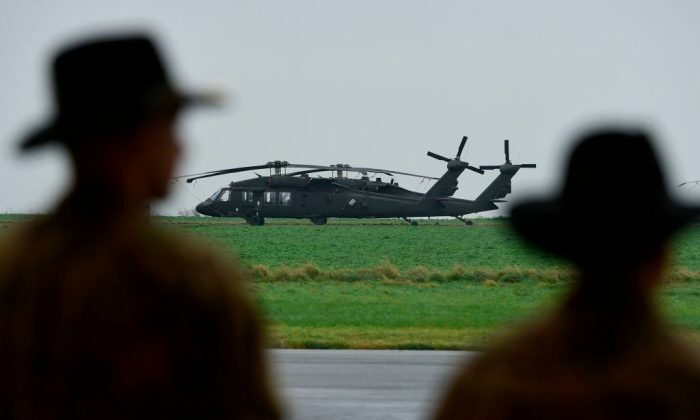 The veteran was assigned to 4th Battalion, 160th Special Operations Aviation Regiment, Joint Base Lewis-McChord, Washington, according to the Defense Department statement. Sims himself was also trained as a Blackhawk helicopter pilot, according to ABC News. Sim was awarded the Air Medal (with combat device) for his heroism or meritorious achievement in aerial battle, NBC News reported. The details of the battle in which he was awarded were unclear. Alaska Gov. Bill Walker ordered flags flown at half-staff across the state Sunday, according to NBC News. Sim lived with his wife and children.